Deeply inviting, the Mani Sectional is made up of a three-cushion left arm sofa, a two-cushion right arm loveseat and a single seat corner piece. 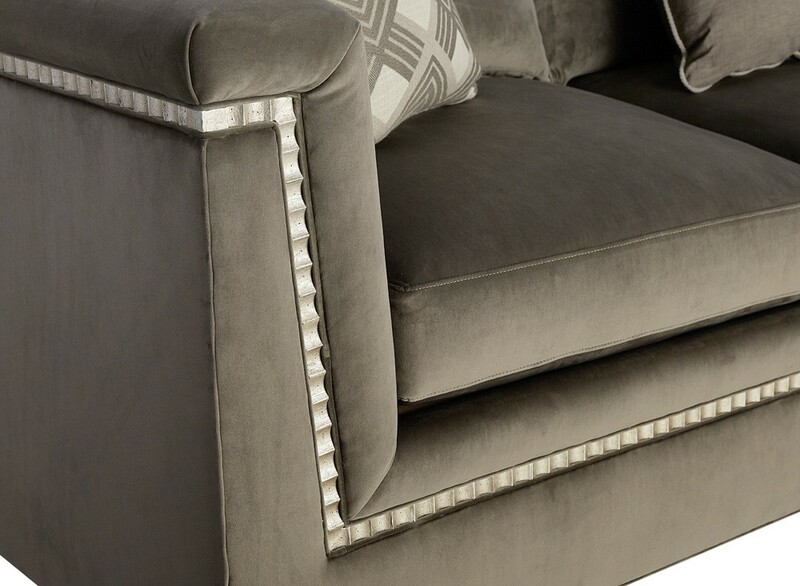 Button tufted back cushions invite lounging; the entire sectional is upholstered in deep gray velvet. 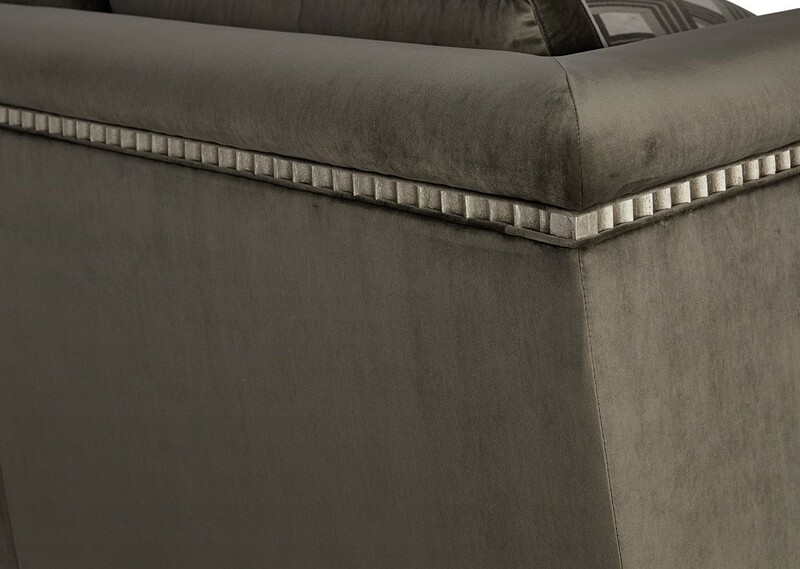 The jewelry-like scallop carved wood trim is in a warm silver Bezel painted finish. The sectional comes with six 19” x 19” coordinating toss pillows.